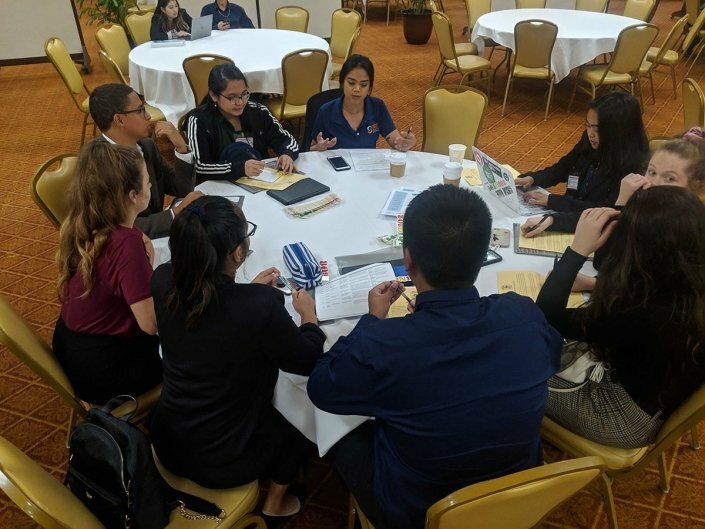 Youth Council members have set their minds to taking down tobacco, especially vaping. 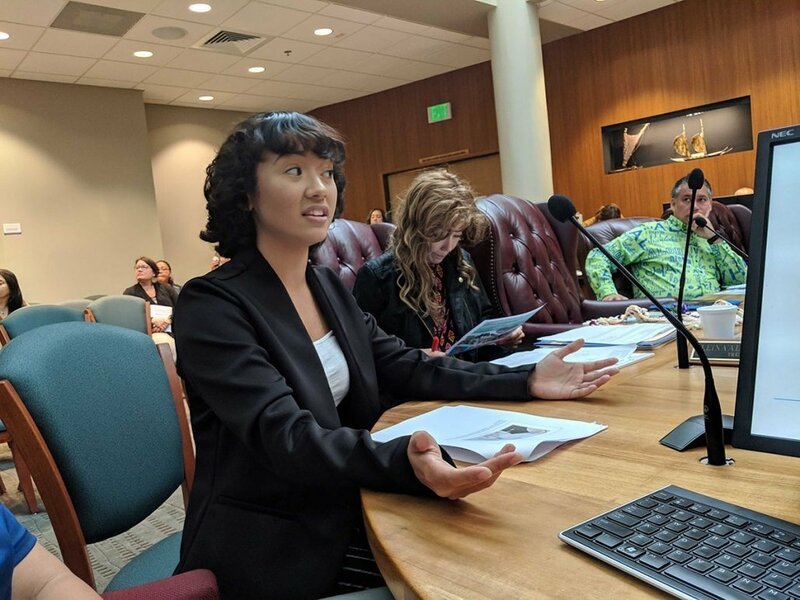 Our Youth Council voted last year to end the sale and distribution of flavored tobacco products, including menthol and vape liquids. Since then, they have been working overtime as they present to organizations, lawmakers, neighborhood boards, school administrators, teachers, and their peers. 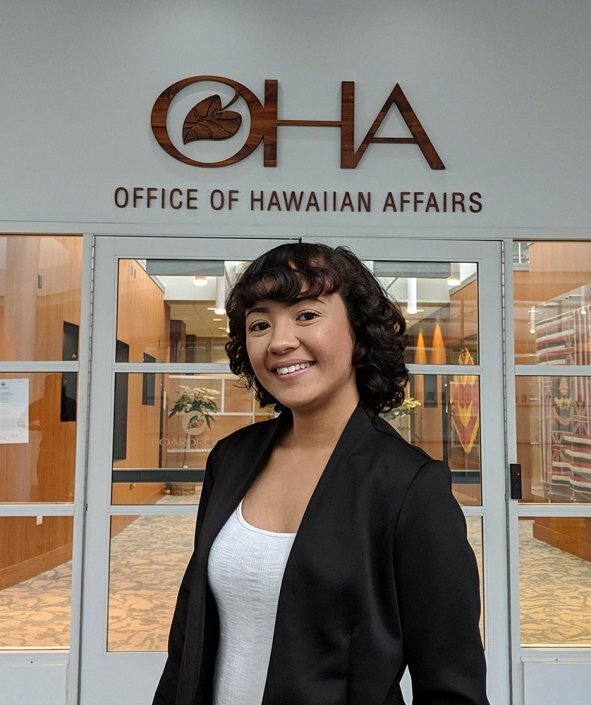 Here they are the week before the launch of a visual display at the State Capitol to promote their top policy priority for 2019! 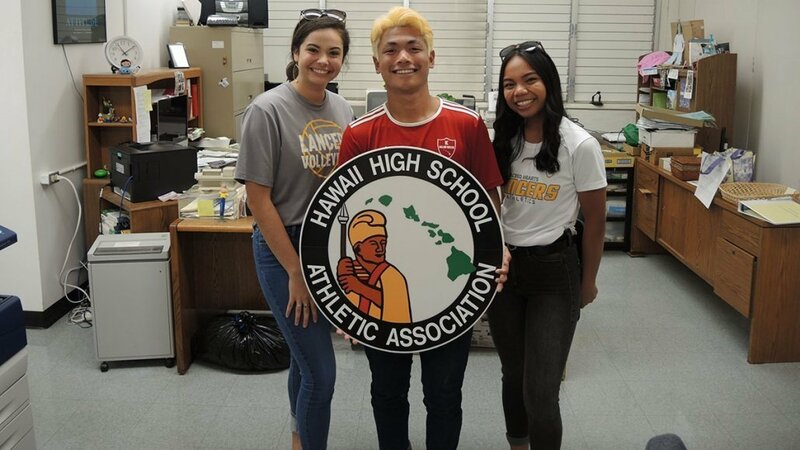 Youth Council members presented to the Hawaii High School Athletic Association today. Hoping for an endorsement! 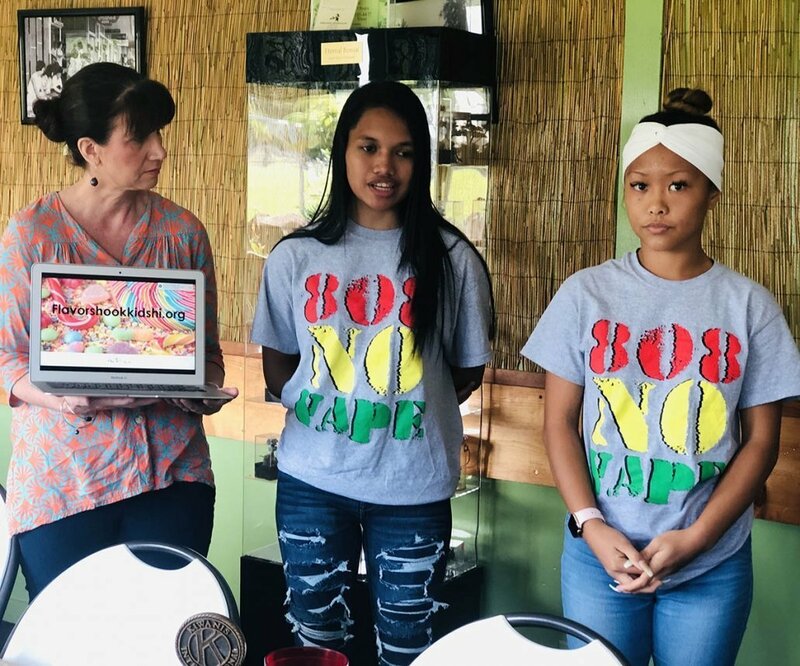 Big Island Youth Council members presenting at a Kiwani’s Meeting; hoping for an endorsement soon! YC members making the pitch for the Flavor Ban endorsement in Mililani. 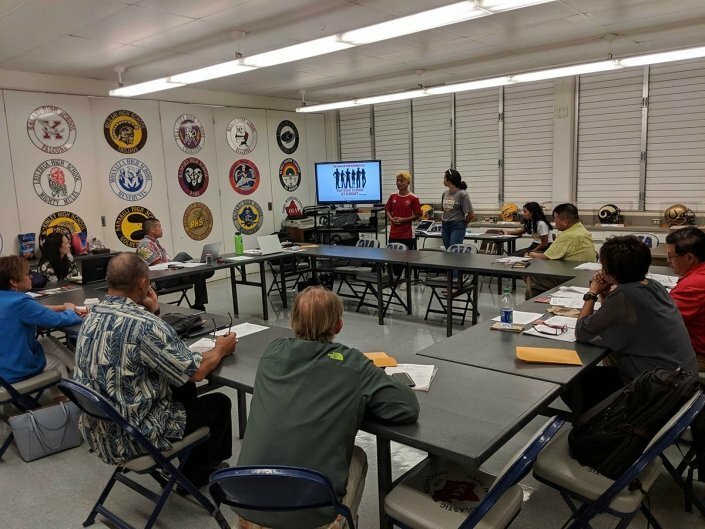 Agnes and Dylan presenting to the Hawaii High School Athletic Association. 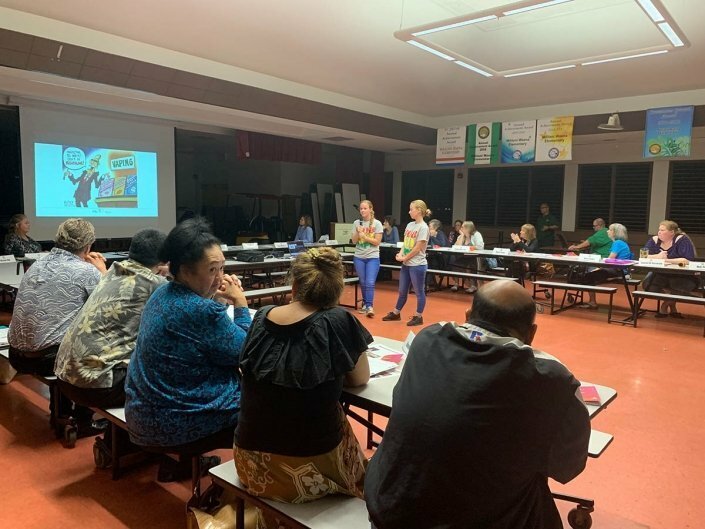 Walipahu Intermediate School students presenting to the Waipahu Neighborhood Board meeting. Unanimous vote in favor! 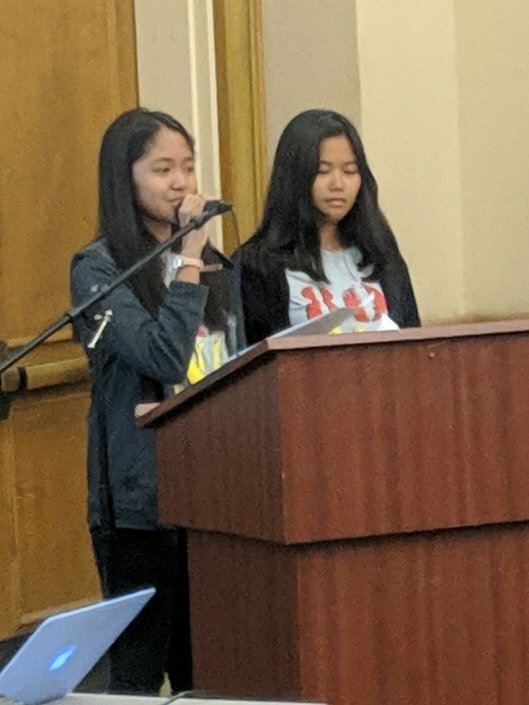 YC member Alexis pitching her peers on why flavored tobacco needs to go! 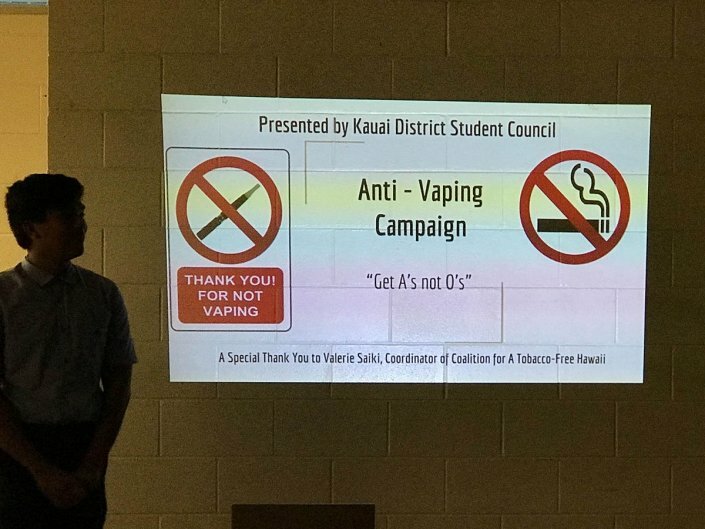 Student Council presenting on the harms of vaping. 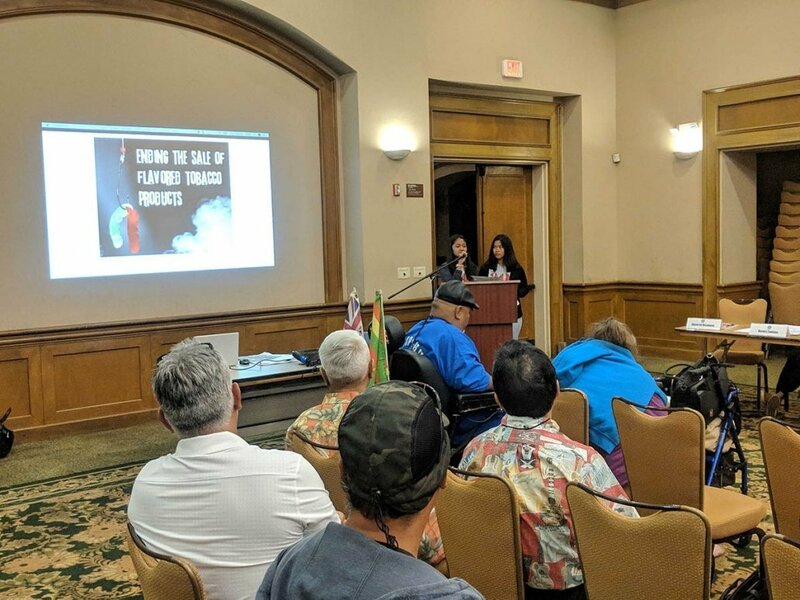 YC member Kawena presenting to Office of Hawaiian Affairs.